හිටපු නාවුක හමුදාපති වසන්ත කරන්නාගොඩ මහතා දරුවන් 11 දෙනෙකු මරා දැමීමට සම්බන්ද බවට සාක්‍ෂි ඇති බව පාර්ලිමේන්තු මන්ත‍්‍රී හිටපු හමුදාපති සරත් ෆොන්සේකා මහතා පවසයි. රහස් පොලීසිය ඊට නඩු පැවරීමට සූදානම් වෙද්දී විවිධ අංශවලින් එය නැවැත්වීම සාධාරණ නොවන බවද ඔහු කියා සිටී. මාධ්‍යවේදීන් අමතමින් ඔහු මේ බව කියා සිටියේය. 1000% agree with you, Naya. Thank you for your comment. ඉතින් මේ සුනකයනේ සියලුම යුධ සැලසුම් හදල යුද්ධේ මෙහෙව්වේ. Ekata sudu kodi kathaawa kiyala hamudaawa pawaa dunne? nehe ooi.. danduwam karanna ona. තොගේ නම නයා නෙවේ අම- නයා කියලා දාගනින් අන්ධ බිහිරි මොන්ගල් වහලා..
අහිංසක කොල්ලො මැරුව නම්, සාධාරණ සැකයෙන් තොරව ඔප්පු උණානම් උපරිම දඩුවම් දිය යුතුයි. යුද්ධෙට මුවා වෙලා කරපු නිසා මෙය අපරාධයකි. එකඟයි. ඒ වගේම බටලන්දෙදි අහිංසක කොල්ලො දහස් ගනනක් මරපු එකාවත් එල්ලන්න අපි කැමතියි. 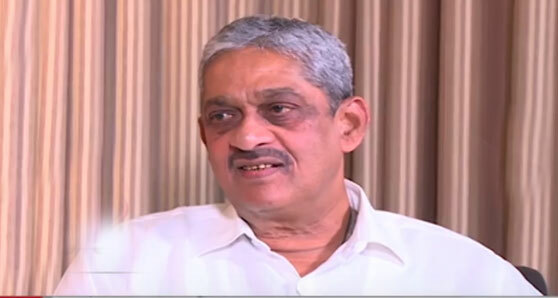 Agree 100% with Field Marshal. Justice should not be blind. Kalawadda iju iju. 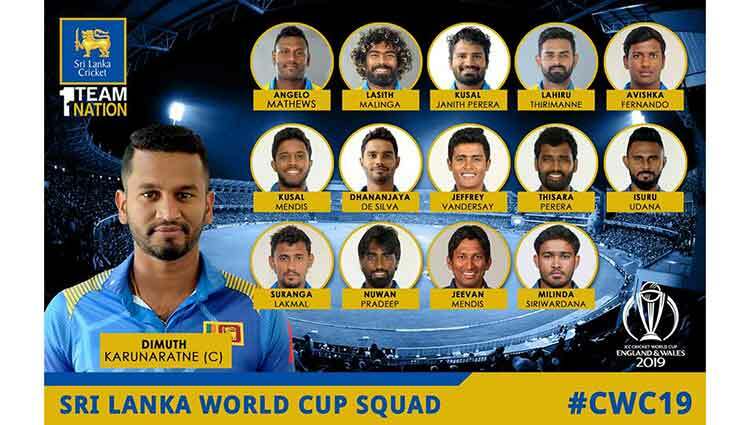 Mu sinhala jathiya pawaladen sunakayek. 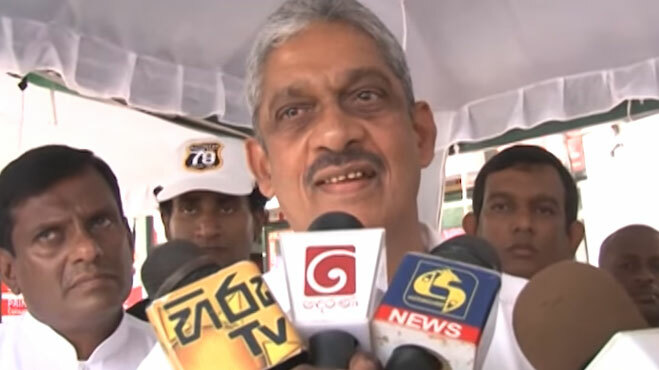 Former navy chief, Wasantha Karannagoda, who is wanted in connection with the abduction and killing of 11 young men, has for the first time involved former defence secretary Gotabhaya Rajapaksa in the case, court records showed. 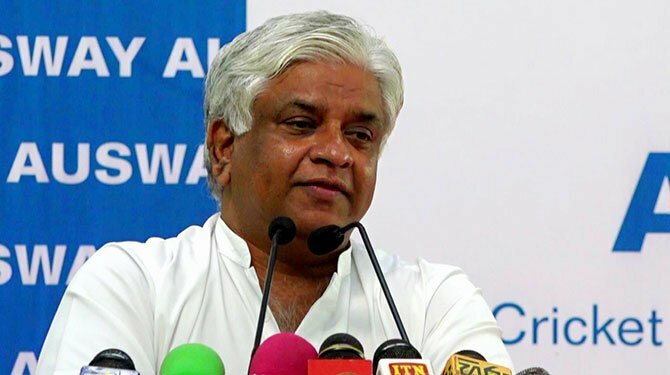 CID detectives have uncovered shocking details of how men directly linked to Karannagoda carried on a lucrative “white van operation” abducting children of wealthy business families and killing them after extorting money from them. Police have found evidence in respect of the abduction and murder of 11 children belonging to Sinhala, Tamil, and Muslim communities, but the authorities believe many more would have been killed in similar fashion during that time when “white van” abductions were common. 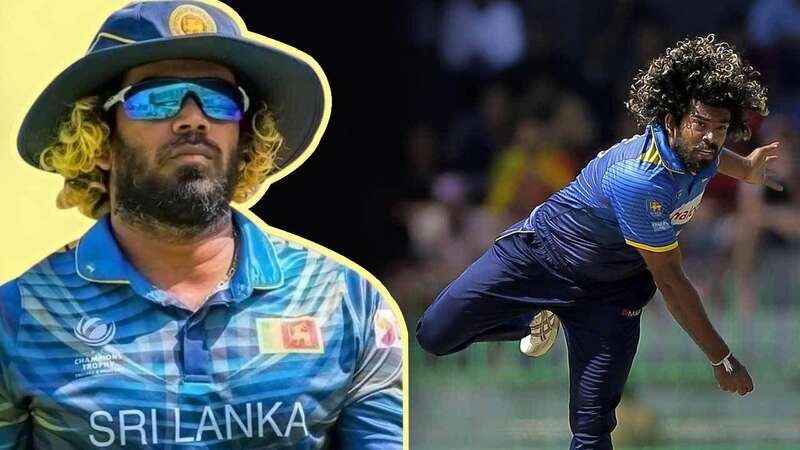 ත්‍රස්තවාදයට කොහෙත්ම සම්බන්ද නැති සිංහල මුස්ලිම් දෙමල දරැවන් පැහැරගෙන ගොස් දෙමාපියන්ගෙන් කප්පම් ගත් මිනීමරැවන් හා යුද ජයග්‍රහණය පටලවා ගන්න එපා. දේශද්‍රෝහී පරය. ඩොලර් වලට අපේ යුදහමුදාව පාවාදුන් සුනඛයා. උඹේ බොරු සුදුකොඩි කතාවට තමයි අදත් අපේ රණවිරුවන් චෝදනා ලබන්නේ. මහින්දට සහ ගෝඨාභය පාගපු පාපිස්සක් ගෙදර එල්ලලා උදේ හවස වැඳපන්. දේශද්‍රෝහී වුනාට උඹව එල්ලන්න තිබුනේ. ආවුද, බෝම්බ ගබඩාව සහිත ශාලාව කඳවුර පුපුරවපු කාලකන්නිය හිරගෙට යන්න සුදානම් වෙයන්. දේශද්‍රෝහී පරය. ඩොලර් වලට අපේ යුදහමුදාව පාවාදුන් සුනඛයා. උඹේ බොරු සුදුකොඩි කතාවට තමයි අදත් අපේ රණවිරුවන් චෝදනා ලබන්නේ. මහින්දට සහ ගෝඨාභය පාගපු පාපිස්සක් ගෙදර එල්ලලා උදේ හවස වැඳපන් උඹ වගේ ගුණමකු පරයෙක් හමුදාපති කළාටත්, දේශද්‍රෝහියට නිසි මරණ දඬුවම නොදුන්නටත්. දේශද්‍රෝහී වුනාට උඹව එල්ලන්න තිබුනේ. 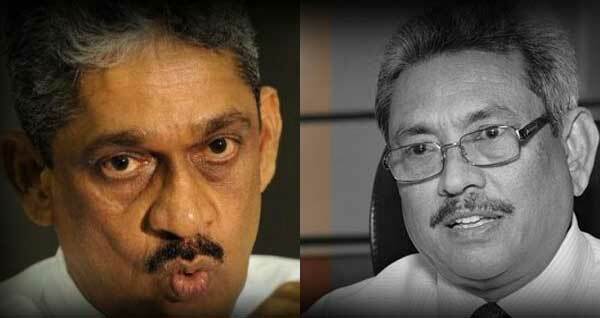 ආවුද, බෝම්බ ගබඩාව සහිත ශාලාව කඳවුර පුපුරවපු කාලකන්නිය හිරගෙට යන්න සුදානම් වෙයන්. UNP කියන්නේ DS, Sir. 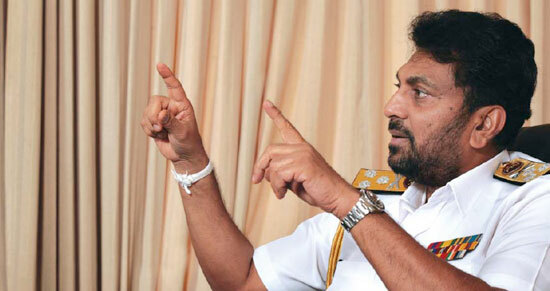 John, ඩඩ්ලි ආදී ප්‍රජාතන්ත්‍රවාදී දේශප්‍රේමීන්ගේ පක්ෂය. අද එය රනිල් වික්‍රමසිංහ නම් දේශද්‍රෝහී බැංකු හොරාගේ අතට ගියාට පසු එහි රජවෙලා ඉන්නේ සරත් පොන්සේකා වැනි කැනහිල්ලු, රංජ වගේ ජෝකර්ලා, කිරිඇල්ල වගේ ගොන්නු, කොකේන් කාරයෝ, කුණු දතා වගේ හොරු, චම්පික වගේ බොරුකාර විකෘති මානසිකයන්, ජඩසුරිය වැනි ඔත්තුකාරයන්, සජිත් ප්‍රේමදාස වැනි බොරුකාර කොටළුවන්, කුඩු කාරයන්ගේ සහායකයන්ය. 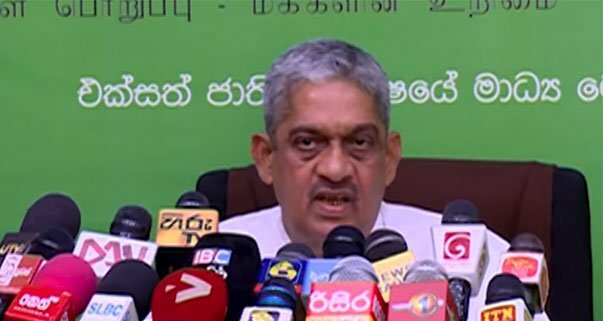 පැරණි UNP සාරධර්ම අද එහි නැත ඔය දේශද්‍රෝහී නරාවලෙන් ගොඩ එන්න ජනතාවට පාර පෙන්වමු. මේ පුද්ගලයාගේ වෛයිරය නොසංසිදෙන එකක් බව කරන සියලු කටයුතු වලින් පෙනේ. එම වෛයිරය ඔහු විසින් තරාතිරමක් නොමැතිව සියලු මිනිසුන් වෙත මුදාහරී. ඡන්ද දායකයින් නිවැරදි දේ කලද, මොහු දේශපාලනයට ඈදා ගත් පුද්ගලයින් මොහුටත්, රටටත් කරන්නේ විපතකි. This fellow was silent all these days. He should be tried for hiding evidence. සුනඛයෙක් උඩු බුරලනු ඇසේ.වහාම ඒ සුනඛයා බැඳ දමව්. Gonseka kata ariyoth gon katha mayi kiyanne. UNP eken burranna genapu balla . Moota hena gahila yanna oni deshidrohi wasalaya. කොස්ගම ගබඩාවෙ තිබුණු ආයුධ වලට මොකද වුනේ. Athigaru Janadhi pathi thumani,me wasalayage wel vidane kama nathikarala muta ambudeyak gahala kuburu haanna gannako. පැසැල් අවදියේ ඉදල එන වෛරය රටත් ජාතියත් පාවාදෙන්න තරම් මෝඩ ද්මනයෙක් වීම ගැන දූශනය භීශනය ගෑන මේ කලවැදි මනුශ්‍යයා මේ රටටම කැලලක් එයාගේ සැලසුම් මොනවාද කියලා ඒ දවස්වලම තේරුනනේ TNA එකත් එක්ක ගහපු ගිවිසුම් 2010. “RATA , JAATHIYA PAAWA DENNO (victories of the Nation),EDATH (in 1815, 1818 , 1848 etc. ) SITIYOYA ,ADATH , SITINNOYA”. ” JAATHIYE AWAASANAWA SAHA , KARUMAYA”. 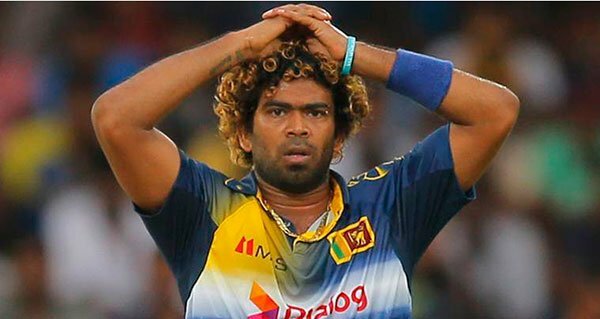 ඉස්සෙල්ලාම යුද්ධයට නායකත්ව දුන් මෙිකාට විරැද්ධව නීතිය බලාත්මක වෙන්න ඹිනේ. යුද්ධයේ සියලු නරකදේට නායකත්වය වගකිව යුත්තා නිසා. මූට එතකොට අසාධාරනයක් හමුදාව අතින් වෙනවා නමි නවත්වන්න තිබුනා. මූ වගේ අවජාතක අසමජ්ජාති බල්ලෙක්, ලංකාවටම එකයි ඉන්නෙ. එතකොට Sunday leader Editor මැරුවේ කවුද? 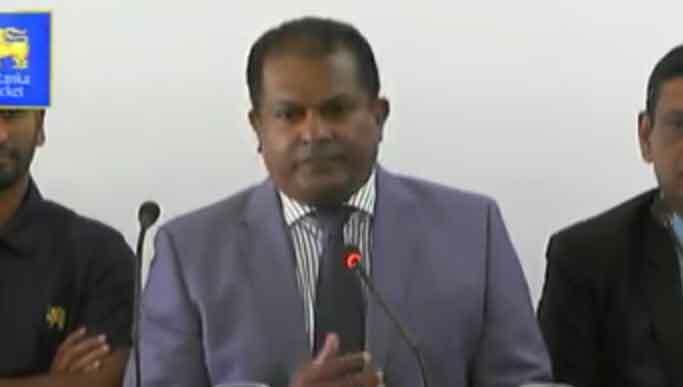 UNHRC නර බිල්ල සූදානම්.. වසන්ත කරන්නාගොඩ අත්අඩංගුවට ගන්න සූදානම්..